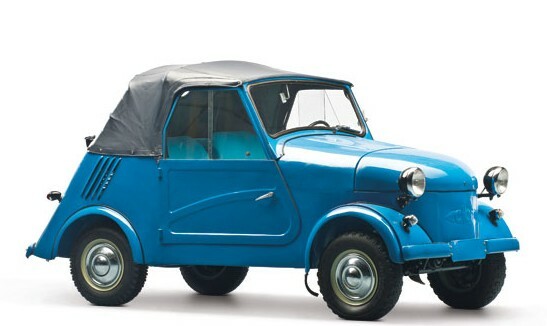 Another Monday and some more microcars. These are now harder to feature as RM Auctions is doing their best to obscure any information about these cars that might exist on the internet. It’s delightful. But that just motivates me more. 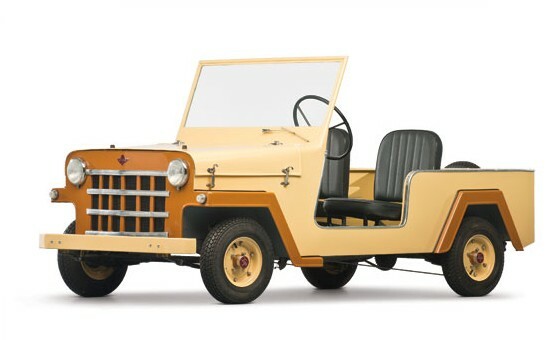 The Kapi Jip was produced in Barcelona from 1955 through 1956. It’s powered by an 8.5 horsepower 175cc single-cylinder engine that propels this miniature Jeep-looking thing to 40 mph. Less than 25 were built and this is the second one I’ve seen go up for auction in the past year. That one sold for $8,500 and this one is expected to sell for between $15,000-$25,000. Not sure where that extra money is going to come from but you can click here for more info. The A.L.C.A. 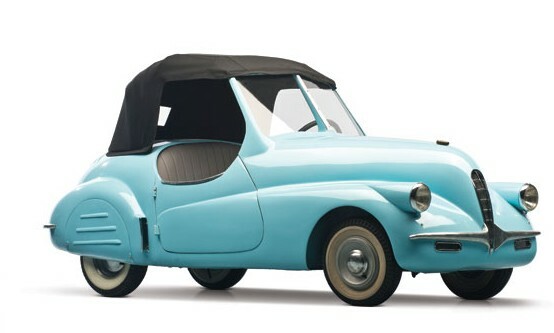 Volpe is a very rare Italian microcar built in 1947 only. It was supposed to be a cheaper and smaller version of the already small Fiat Topolino. It uses a rear-mounted 124cc two-cylinder making 6 horsepower. Less than 10 were built – mostly because the company, l’Anonima Lombarda Cabotaggio Aereo, was a scam and was shut down when accused of defrauding potential customers out of roughly €5 million in today’s currency. So it’s a rare car with a weird story of how it came to be. It should sell for between $15,000-$25,000. Click here for more info. 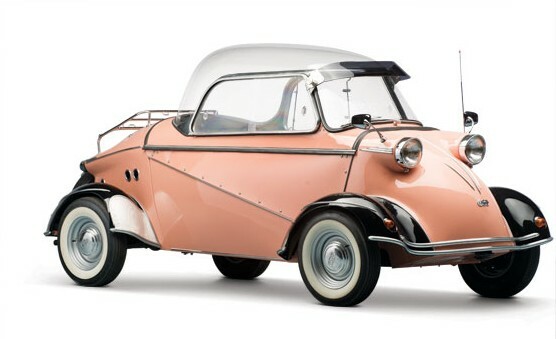 The Heinkel Kabine, which, let’s be honest, shares some similarities with the Isetta, was made from 1956-1958 by Heinkel in Germany. It was later built in the U.K. as the Trojan. This particular model, the 174cc single-cylinder (there were larger version offered as well) was on sale from 1956-1957. It makes 9 horsepower and will do 54 mph. Yes, it is a four-wheeler, with the rear two wheels sitting right next to each other. This one has a targa removable roof, which is cool. Buy it for $35,000-$45,000 and check out more here. Don’t those little go-kart sized tires look a little chunky for a small car like this? Like it’s intended for light off-roading, which it isn’t, as this was a car designed for invalids. 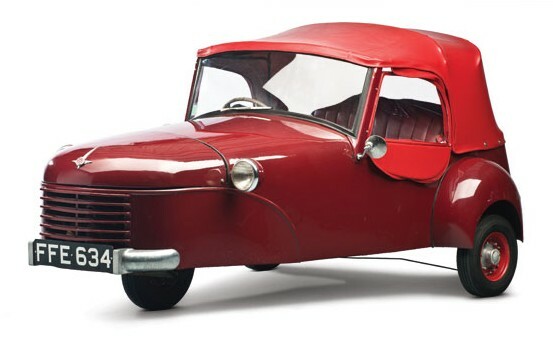 The benefits of communism were at play here – the Soviet Union distributed these small cars for free (or at least at a hefty discount) to disabled people through their social welfare system. I would really like to make a political joke here at America’s expense, but I won’t. SMZ is now know as SeAZ and this model was made from 1957-1970. It uses a 10 horsepower 346cc single-cylinder. It should sell for between $15,000-$20,000. For more information, click here. Automobiles Julien was founded in 1946 in Paris. 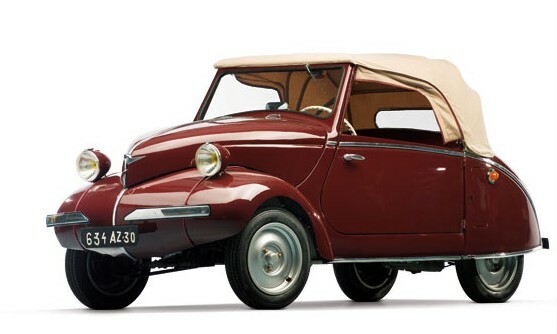 Car building materials were scarce in postwar France – especially for an upstart manufacturer hoping to put a tiny little convertible into production. The French government had to approve it and free up the necessary materials – not many were made, so it didn’t hurt France too much to do so. The car was produced from 1947 to 1949. Different engines were used, but at its peak, the car had a 10 horsepower 325cc single-cylinder. I’ve seen performance described as “acceptable.” This one should bring between $45,000-$55,000. For more information, click here. This is a two-seat automobile, if you can believe it. The Scootacar exists because the wife of one of the heads of a railway locomotive manufacturer wanted “something easier to park than her Jaguar.” Rough life. So Scootacars Ltd was set up as a subsidiary of that locomotive company to produce, well, something much easier to park than a Jaguar. The Mk I was a fiberglass bubble that is taller than it is wide and just barely longer than it is tall. It’s a single-cylinder engine of 197cc that pushes this thing to 50 mph. And you steered with handlebars. There were other models as well, but production on this one started in 1957. Only 130 Scootacars of all types were produced by the time the company closed in 1964. This one should sell for between $20,000-$25,000. Click here for more info. 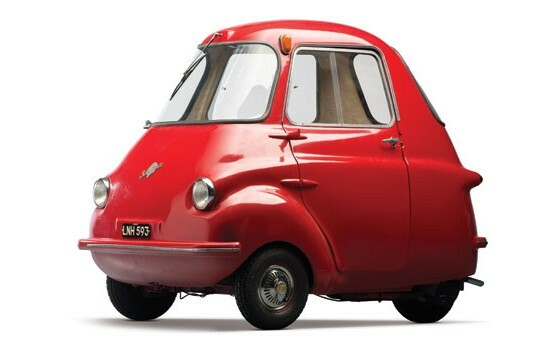 Champion was an automobile manufacturer in Germany that made tiny little cars that looked exactly like this from 1952 to 1955. When they went out of business, a small company called Maico bought their assets for pennies on the dollar, er… pennies on the Deutsche Mark. The Maico 500 went on sale in 1955. It used a 452cc two-cylinder making just under 18 horsepower (17.75 to be exact). Maico built a few thousand cars between 1955 and 1958 (both the 500 and 400 model series). They lost money on every one and only quit making them to avoid bankruptcy. Solid business plan. This one will cost you between $30,000-$40,000 when it crosses the block. Check out more on it here. Let’s face it: Gutbrod might not be the sexiest name ever slapped on a car. Superiors were manufactured from 1950 through 1954 and they featured a rollback convertible roof (those b-pillars don’t go anywhere). The cloth roof just kind of unfurls backward and voila! a convertible. The engine was a front-mounted 593cc twin making 20 horsepower. They were known as good handlers but they were also loud. 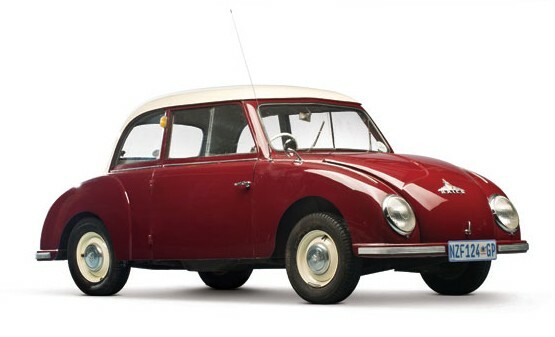 There was a “700” model as well, with an extra 6 horsepower and 70 more cubic centimeters in displacement. Of both models, 7,726 were made. This one will go for between $15,000-$25,000 and you can read more here. 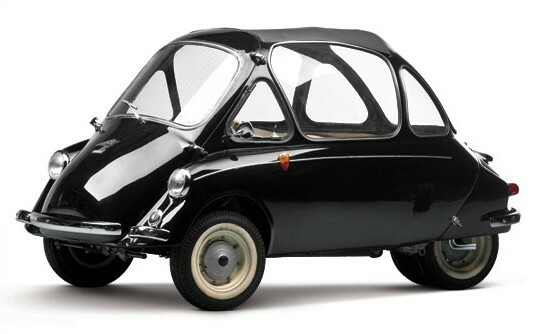 The Bond Minicar went through various re-designs during its production run from 1949 through 1966. The Mk B was the second such iteration, made in 1951 and 1952 only. This three-wheeler uses a 197cc Villiers single-cylinder. Of this type, 1,414 were built before Bond moved on to the Mk C. Of all the Bond Minicars offered during this sale, this one has the highest pre-sale estimate of $15,000-$25,000. For more info click here. And to check out more from this sale click here. 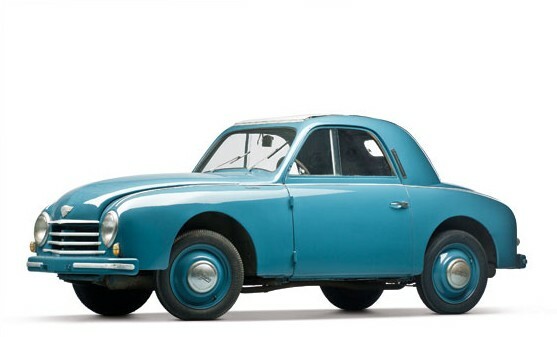 This entry was posted in Uncategorized and tagged 175 type 153, 1947, 1951, 1955, 1956, 1958, 1959, 1970, 500, alca, auctions, bond, fmr, gutbrod, heinkel, jip, julien, kabine, kapi, maico, microcars, minicar, mk b, mk i, mm5, rm auctions, s-3a, scootacar, smz, superior 600, tg 500, tiger, volpe by classiccarweekly. Bookmark the permalink.